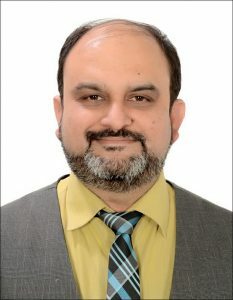 The Public Relations Consultants Association of India (PRCAI) has elected a new executive committee at its recently held annual general meeting. Nitin Mantri, Group CEO, Avian WE, has been re-elected as President. Regional Chapter chairpersons include Dr. Samir Kapur, Adfactors PR (North), Sheena Sharma, GBM (South), Girish Huria, Ketchum Sampark (West) and Khurshid Ahmed, Advantage Service Patna (East). Samir Kapur, Sr. VP & Branch Head, Adfactors PR, a senior veteran and communications expert with over two decades of experience in PR in an exclusive interview with Richa Seth, Vikypedia shared his vision and plan forward as the Northern region head of PRCAI. Read on to know more. 1. To begin with, what is your view on the role of PRCAI in getting Public Relations (PR) a seat in the boardroom? PRCAI believes that the PR possesses the opportunity and responsibility to ensure that enterprises operate honestly, responsibly and with genuine respect for the interests of all stakeholders. Establishing PR to maintain public trust, protects the reputation and preserves the enterprise’s social license to operate. Our endeavor is to strengthen the role of PR consultants by embracing the high professional standards, improving the way PR is understood, practiced and taught, and providing a learning environment to its members. 2. As the Northern region head of PRCAI, what are the kind of initiatives that you are planning in the year ahead? Economies around the world are aligning themselves to VUCA world. Only those, who have adapted themselves leveraging their intellectual capital will survive. Guided by this fact, PRCAI will work on initiatives that enhance the competitiveness of Indian PR industry by underlining the need for rapid upgradation on parameters like content, quality, governance, reputation management, efficiency and crisis management. All this, not only to increase productivity and profitability but also to enhance the quality of life of the professional and community. Different divisions and councils will be formed that aims to provide solutions to organisations not just for their competitiveness needs, but also to help them become more self-reliant by helping them develop flexible strategies that cater to changing needs. Going forward we will continue to invest our initiatives in Consulting, Research Projects, Knowledge-Based Events and Research Papers. PRCAI over past few years has done phenomenal work and the current Mancom intends carrying that forward. 3. PR industry is facing the talent conundrum – how will PRCAI work towards addressing this issue? The phrase ‘war for talent’ was coined back in 1997 by the consultancy firm McKinsey – and is as relevant today as it was then. The landscape for recruiting and retaining talented employees is fiercely competitive in all industries, including PR. A key component of any talent management strategy is developing a pipeline for future entrants into the industry. Ensuring there is a conveyor belt of good young starters is vital for the future competitiveness of any sector. In addition to the quest for experienced candidates, the market is desperate for the new competencies demanded by the digital revolution. Until a few years ago, digital skills were required for specific online roles and were seen as a useful asset for traditional comms. Today, they are imperative across all functions. Of course, many opportunities are still available within the distinct online remit, but other communication disciplines are becoming increasingly integrated with digital. Clients do not want silos and divisions. Agencies are integrating roles and this has increased demand for this type of skill. A few years ago finding talent with digital skills was a challenge; now the market is more stable. PRCAI aims to arm consultancies HR teams with skills, tools, and technologies to navigate uncertainty in a shifting ecosystem. We conducted many successful sessions in the past and will continue with these investments in the coming year. 4. Are there are any upcoming campaigns, training programs that you would like to talk about? Over past few years, PRCAI has done a lot of campaigns and training programs in association with Holmes, Reputation Today, PR moment and other such bodies. PRCAI has conducted “Engage series” in the past involving multiple stakeholders like media, marketing professionals, CXOs etc. Besides its own properties PRCAI has been associating with other relevant industry forums for e.g. PRCAI co-curated “Advantage Conclave” in Bihar. We would continue to carry these three aspects – own properties, co-creating events and associating with other like-minded professional bodies. 5. In the evolving world of digital – social media, Advent of AI – how do you think the new age PR professional should upskill? The public relations process used to be unidimensional–“the filter down theory”–but the future of PR is now a conglomeration, primarily focused with facilitating an ongoing conversation while remaining on the forefront of innovations in the communication arena. At its core PR is still about great storytelling but the future of PR is about creating a shareable experience. Measuring only media coverage is a way of the past. PR professionals must now target to engage their clients’ audience and have them be a part of the news cycle. The scope of opportunities is increasing and PR professionals need to continue to adopt forward-thinking and accept the innovators. AI’s core function for PR is its ability to process data at immense scale and speed to better inform strategy and creative work. Technology can find patterns in data. It takes a smarter human to say what it means, but the human would never find that pattern because it would require such a massive amount of data calculation. AI can streamline operations for clients, create new experiences that increase brand affinity, and improve user experiences. AI also adds a new layer of intelligence to customer-website interactions. This most often manifests in the form of chatbots because of their adoption rate, ease of use, and pervasiveness, he adds. In the near future, agencies could use AI to track fake news, a task currently handled manually by fact-checkers and journalists. There are a lot of opportunities from a PR perspective in terms of understanding where the content is, how real it is, and where it should be integrated. Next : Where do millennial find inspiration for creating digital media content?